Discounted online registration for the 2014 FWT Formula Kart and Rotax Max Challenge Ocala events closes this Friday, January 31. Online registration saves $100 compared to on-site registration. Briggs and Stratton has increased their entry support to $150 for every Briggs LO206 Senior entry at Ocala. When you register the $150 will immediately be credited back to your account. Check out this cost effective, sealed, spec engine program here and here. Formula Kart Racing weekends feature many awards that are exclusive to the “FK” weekends. 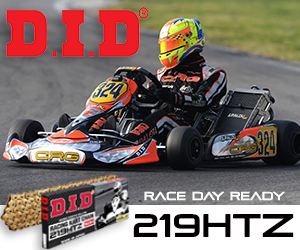 Skip Barber is providing almost $23,000 in driver support for the eligible drivers who register and score the most points in the Formula Kart Racing Championship. Three awards in all. Run two classes in the “FK” weekends and double your chances of winning these amazing car racing awards. MG Tires is providing a seat in the Granja 500 to one lucky “FK” driver who enters all six FK races. BRP/Rotax and FWT will provide “tickets” to the 2014 Rotax Grand Finals for the points champions of the DD2, DD2 Masters, MAX Senior, MAX Junior and the MAX Masters classes. Koene USA will provide “P1” pole awards at every 2014 FWT round. The driver with the most poles during the 2014 FWT will receive $250 cash.